The U.S. market has been confirmed to have both the new 2019 Chevrolet Colorado RST and 2019 Chevrolet Colorado Z71 Trail Runner earlier this month, and now GM Canada has announced that both models will venture their way north of the border. 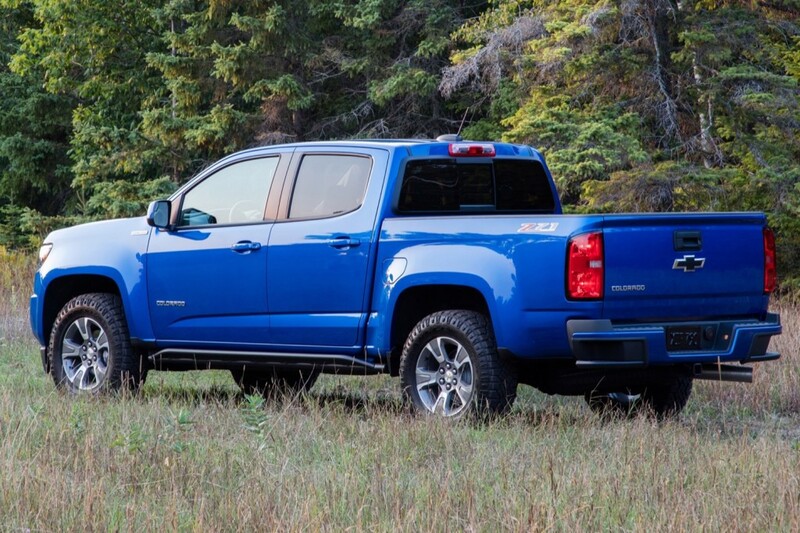 The last four years have been an incredible success for the Chevrolet Colorado. When it was introduced in as a 2015 model it almost immediately rejuvenated the floundering midsize truck market in the US, the same was true in Canada where more than 24,000 Colorado pickup trucks have found new homes. Chevy has decided to include Canadians in the anniversary celebrations in announcing the street-focused Colorado RST and the off-roading Z71 Trail Runner. To refresh your memory, the 2019 Chevrolet Colorado RST joins other successful street-focused RST models available on Tahoe, Suburban, and Silverado. The RST sprouts from the LT trim and gains monochrome exterior looks, a CHEVROLET flow grille, and new black body moldings. Of course, there’s also black badges, RST badges, and black 20-inch wheels. The 2019 Chevrolet Colorado Z71 Trail Runner adds some of the Colorado ZR2’s parts to the Z71 off-road package, namely the stamped aluminum front and mid skid plates, and functional rocker protection. You can option the CHEVROLET flow grille on Trail Models as well. Colorado actually offers an impressive breadth of off-road capability, starting with the base level Colorado Z71, jumping up to the new Z71 Trail Runner (replacing the Colorado Trail Boss), before you get into the much more serious Colorado ZR2, and the extremely more serious Colorado ZR2 Bison.